It’s an educational children’s toy that encourages kids to build all sorts of cool stuff: like castles, walls, tables, dinosaurs, birds, and more. 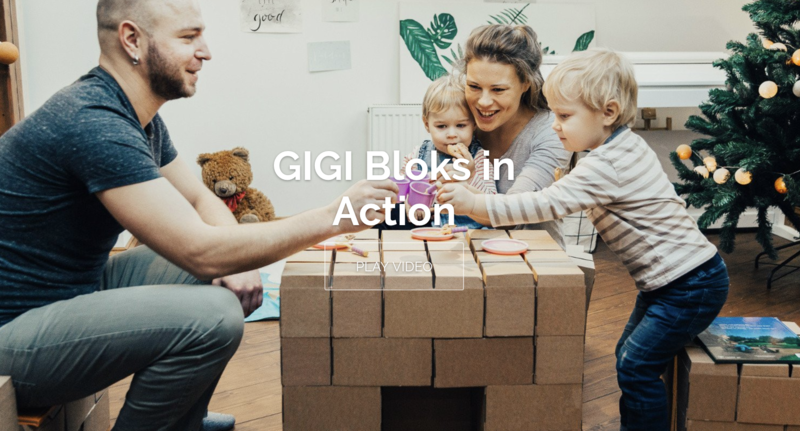 Even though she primarily sold through retail stores, she wanted to start selling Gigi Blocks online. She has a great product. I would even go so far as to say it’s better than the competition by leaps and bounds. And still. No one was buying. Then I saw the page she used to “sell” her product. And it all made sense. She made 3 glaring mistakes. All of which were easily fixed. And when she fixed them? And how did she fix it? Doing what you do is often a different skillset than “selling” people on what you do. You wish people would just buy the product or service based on how good it is… but if they don’t know how good it is… and you do a bad job communicating it… guess what? It might as well be the worst product in the world. Hiring someone to create a sales page for you can cost as much as $25,000. I just had a conversation with someone who hired a sales page copywriter. And that’s exactly what they said. This is why I always encourage people to learn how to write their own sales pages. Especially as a small business owner. You do it once, and you can use it for years. So, when I looked at her sales page, and spotted all these mistakes, I totally understood. It’s not that she’s bad at what she does. She made a great children’s toy. She was just bad at showing people how cool this toy was. Second, she made 3 glaring mistakes (each of which are easily fixed). So, what did she do wrong? When you look at her sales page, it’s clear she wasn’t targeting a specific customer. Sure, there’s a picture that makes you think it’s a children’s toy. 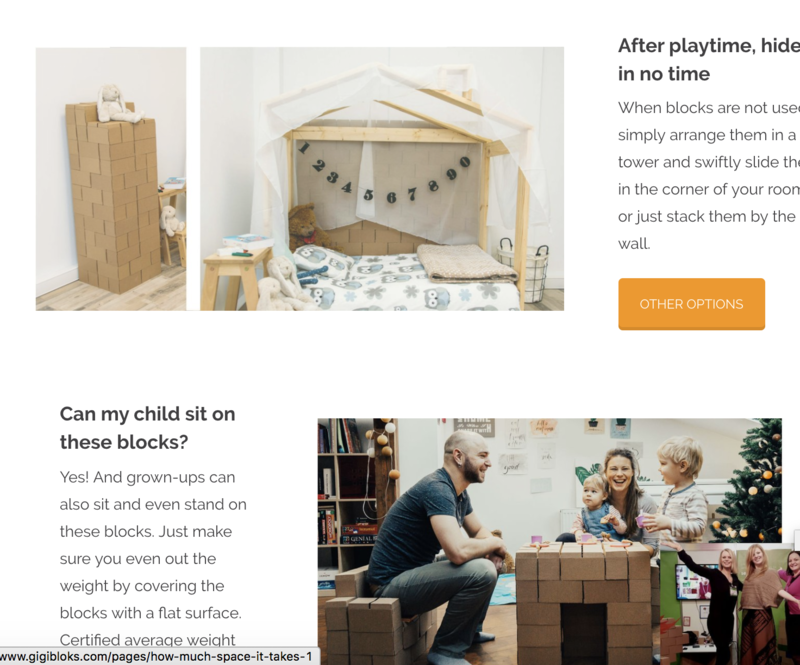 But for all you know maybe you use these blocks to package up your kids and send them to the parents for Thanksgiving. Now, I’ve talked about this before, but briefly: there are 3 types of customers: Informed Customers, Afflicted Customers, Oblivious customers. Informed customers know about your and your product. Afflicted customers know about their own problems, but not necessarily about your product. Oblivious customers know about nothing. They’re oblivious. 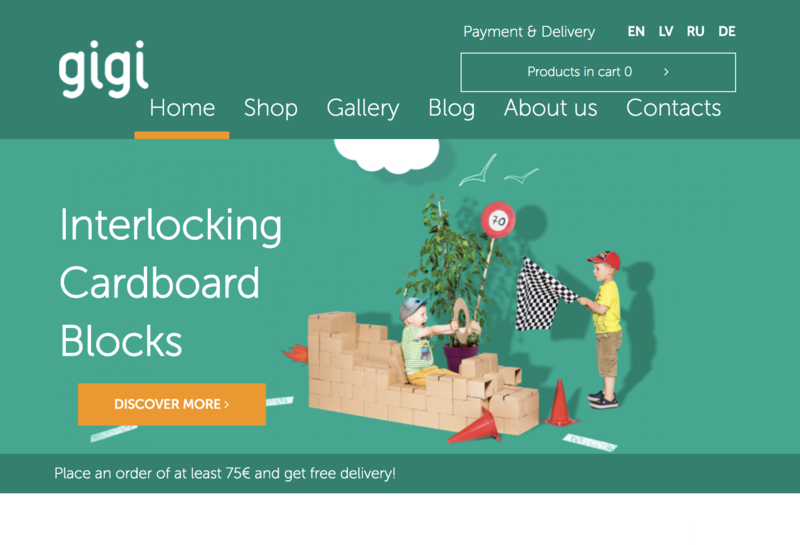 Now, this “interlocking cardboard blocks” headline is great for informed customers. But what about afflicted or oblivvious people? It would fall flat. I know she wanted to reach a more broad audience and her message wasn’t suited for it. Okay. Maybe you’re not worrying about your kid eating cardboard. But you get the point. These questions are “objections.” Or, reasons why people won’t buy your product. On your sales page you need to answer these questions to make the sale. This is a childrens toy. And when I look at the page, it looks like it could be fun, but I don’t see it. I want to see kids building things. i want to see kids having FUN with this thing. I want to see people ACTUALLY USING THE PRODUCT. Now, I know this makes sense. But still. How do you showcase people using your product so it makes other people want to use it? This is an art and a science, and I describe the difference inside one of my courses Sales page that Converts. How Did She Fix Her Sales Page? Now, on the surface, everyone sort of knows this. But even though everyone knows this “on the surface,” they have trouble implementing it. 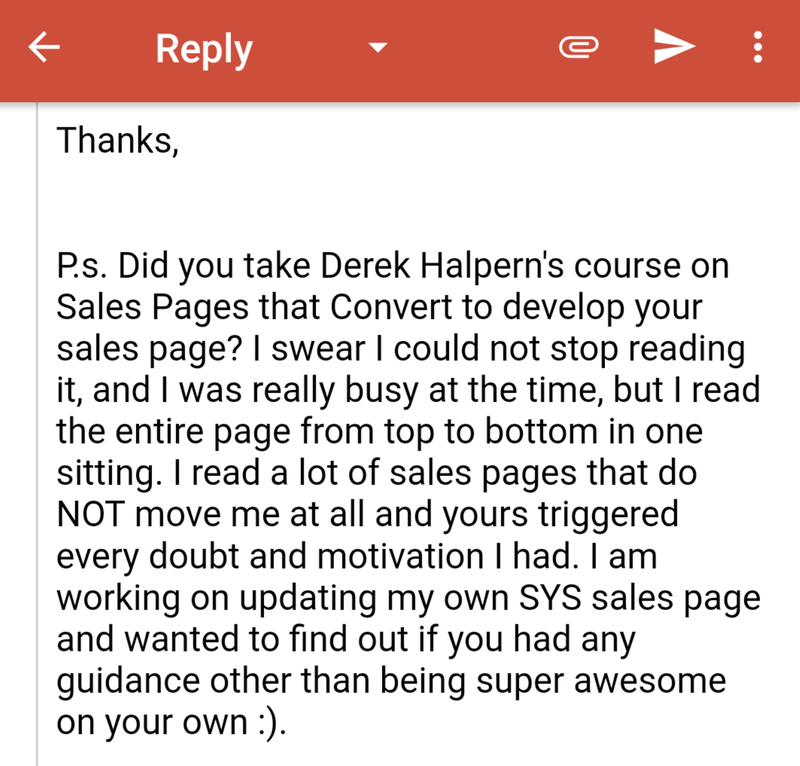 This is one of the reasons why I built my course “Sales Page that Converts.” It’s a step-by-step system on how to create a remarkable, high-converting sales page. And Ilona invested in the program. Inside the program, I show you how to create a high-converting sales page. It can work for physical products – like in Ilona’s case. It can also work for information products, digital products, books, services, and more. It’s a little longer. So click the link to check it out. But you can immediately notice the difference. And most important: she describe why this product is so remarkable. You may not be a parent, but think about it for a second. The before. The after. The after is clearly better. MUCH BETTER. How many sales do you think she lost by failing to describe her product the right way? How many people could have bought… if they only knew more? But again. I don’t blame her. She made a remarkable toy for children. She whipped together a sales page herself, and it came out okay. But now she’s ready for the mainstream. Now she can start driving traffic to this page and watch sales come in. Now, how can you create a Sales Page that Converts? Well, as I said, Ilona enrolled in my course Sales Page that Converts and it helped her create a remarkable sales page. Enrollment for the program is now open for a limited time. You can learn about it right here. You know what I love most about this training? We can help people who never wrote a sales page before write better sales pages… fast. And their customers love it. Now I’d like to help you do the same thing. 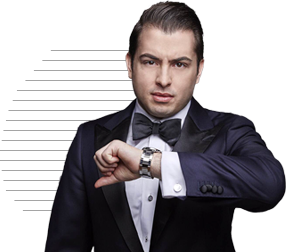 I’ve taught this training to entrepreneurs all over the world. And this step-by-step system can help almost anyone create a better sales page. Even if you don’t want to write it yourself, and you want someone on your team to do it, now you have a training that they can follow to ensure you make a remarkable, high-converting sales page. Learn about Sales Page that Converts right here.